Disgraced former Hong Kong minister Patrick Ho Chi-ping has appealed against his conviction in the US over a multimillion-dollar bribery case. Ho’s legal team also applied for Ho to spend another six months in New York’s Metropolitan Correctional Centre (MCC), where he has been since his initial arrest, to prepare for the appeal, before going to a minimum-security out-of-town prison. The 69-year-old former home affairs minister given a three-year sentence and fined US$400,000 (HK$3.1 million) on Monday , after a US federal jury found him guilty on five counts of violating the Foreign Corrupt Practices Act (FCPA) and two counts of money laundering. The charges related to his offer of US$2.9 million in bribes to senior leaders in Chad and Uganda to secure oil rights for a Chinese company. But Ho could be released as early as June next year, having already been held at the MCC for 16 months, and with the possibility of another five months deducted from his jail term for good behaviour, according to his lawyers. But on Wednesday he filed an application with the US Court of Appeals over his conviction. Jason Ng, a US lawyer and convenor of Hong Kong’s Progressive Lawyers Group, said that for Ho to successfully appeal he would either have to present new evidence or witnesses, challenge the evidence from the prosecutors’ side or argue that the judge wrongly interpreted legal principles. He believed the appeal was unlikely to result in any significant change to his sentence. “Ho was convicted of seven charges in which some of them could lead to a maximum of 20 years of imprisonment. He would still face five charges even if he manages to be acquitted on two of them,” Ng said, adding Ho’s current sentence was already very merciful. Since being arrested in November 2017, Ho has privately expressed his defiance against the charges brought by US authorities. In 2017, he claimed he was being used to “get to the big tiger” — suggesting prosecutors wanted to ensnare higher-powered figures in mainland China. After being convicted in December, he said he was the first sacrificial lamb in the United States’ trade war against China. The court on Wednesday endorsed Ho’s application to remain in the notorious MCC for another half-year to prepare for his appeal. 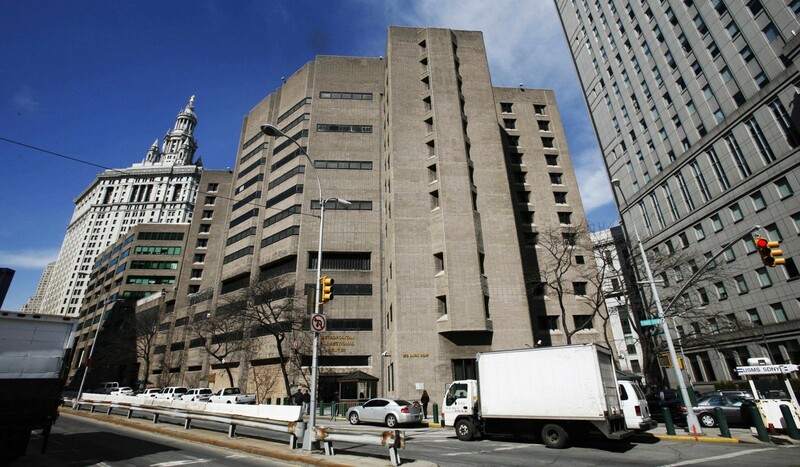 But Ho’s request to be sent to a minimum-security prison in Danbury, Connecticut – or similar jail facility in New York – after that is pending approval by the US Bureau of Prisons. The Danbury prison, about an hour’s drive northeast of Manhattan, houses 1,010 inmates. Ho’s family and friends could visit him 12 times each month on either Monday or Friday; or six times a month on weekends or any holiday. His daily life would begin with waking at 6am for meals and work, sweeping and mopping his own cell and making the bed. The prison follows the national menu of the Bureau of Prisons, including options from pizza and steamed rice to barbecued tofu. Ho could also choose to play basketball, volleyball, soccer, or attend arts or music classes. Notable former inmates include “mother of all snakeheads” Cheng Chui-ping.